Home Tags Posts tagged with "bioscience"
Academic and local government entities often talk about the importance of town-gown relationships. But a partnership that includes Southern, the city of New Haven and regional bioscience companies has evolved into what might best be described as a “town-gown-downtown” relationship. And in just three years, that relationship has borne substantial fruit in a variety of areas — academic programs, community outreach and development of industry and career collaborations. Taken together, a Bioscience Academic and Career Pathway Initiative (BioPath) has been created that promises to benefit the Greater New Haven region, which is home to the second largest cluster of biotechnology companies in New England. On the academic front, SCSU launched a Bachelor of Science degree in biotechnology last fall. The new major provides students with an opportunity to take their scientific knowledge and conquer real world problems in the areas of medicine, genetics and other related fields. The program has aligned a series of pre-existing and new courses with the needs of the biotech industry, according to Nicholas Edgington, associate professor of biology. “As a result, students will come away with a background that will enable them to be competitive for good, high paying biotechnology positions,” he said. In addition, SCSU has created a biochemistry concentration in the B.S. degree in chemistry, and is in the process of developing other academic programs that also are sensitive to the needs of the bioscience industry. Southern also has worked with area community colleges to align course offerings to ensure an easier transition for students wishing to complete a four-year degree. The enhanced relationship between SCSU and the bioscience industry has led to increased internship opportunities at companies such as Isoplexis, Arvinas, Medtronic, Quantum BioPower and Perkin-Elmer. Broadbridge said these types of internships are invaluable to students from an experience standpoint, and often lead to first jobs after graduation. 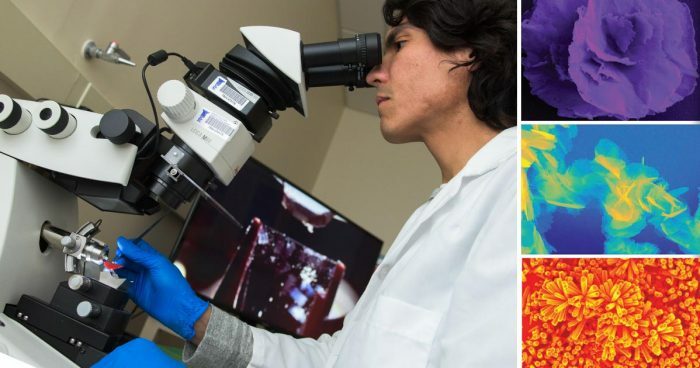 SCSU, in partnership with The Jackson Laboratory and the Connecticut State Colleges and Universities system, is sponsoring a bioscience careers forum to provide college students with information about industry trends and career opportunities. Speakers for the April 27 event include those from area bioscience companies. A group of local high school students also have been invited to attend. WTNH (Channel 8) recently interviewed Broadbridge about the careers forum and bioscience at Southern. The university has reached out to the public-at-large with a variety of science-related events. Family science nights have been developed in an effort to generate increased interest among students in the New Haven Public Schools. SCSU has sponsored public lectures and tours of its state-of-the-art laboratory facilities in a new science building that opened in 2015. SCSU also has continued to reach out to area educators, particularly with summer science training programs aimed at “teaching the teachers,” designed for educators in the fields of bioscience, nanoscience, computing and technology. Greater research opportunities have become available, as well, through the acquisition of cutting-edge equipment, and participation in an International Genetically Engineered Machine Competition during the fall of 2016. SCSU became one of only a few Connecticut universities to have ever competed in the event since its inception more than a decade ago. The team of SCSU undergraduates earned a bronze medal for its efforts during the summer and fall to develop a screening test that would help expedite testing for tuberculosis, while also maintaining a high level of accuracy. The work was sent to the IGEM headquarters repository for future scientists to advance. More than a dozen science students attended the CT Health and Life Sciences Career Initiative “Bioscience Careers Forum” on Wednesday, December 9, 2015. 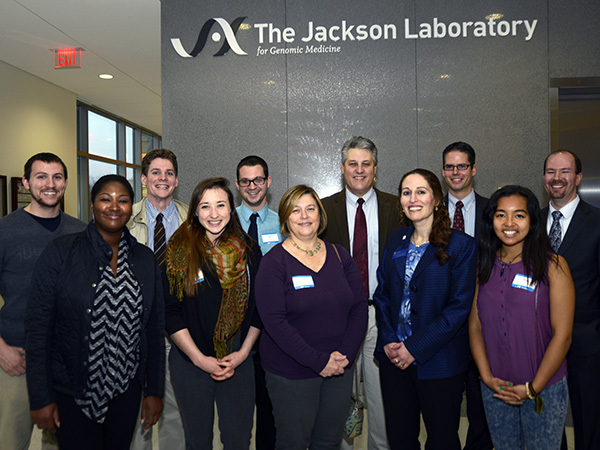 The event was held at The Jackson Laboratory for Genomic Medicine in Farmington. In Connecticut, the health and life sciences represent an area of strategic growth supported by significant public and private investment. Approximately 200,000 people in the state work in health and life science industries, with another 11,000 additional jobs expected in the next eight years. The Health and Life Sciences Career Initiative (HL-SCI) is designed to prepare workers to take on these new jobs with a particular focus in recruitment on veterans, TAA-eligible workers (those displaced by foreign trade), dislocated, unemployed and under-employed workers. Learn more.